I've been lucky enough to attend two amazing masterclasses run by the lovely Tonia Buxton this year. Tonia is a Greek cook who has brought her inspired dishes to the UK. She is a beautiful lady, full of fantastic, vibrant stories and is always keen to share her delicious recipes. Tonia has worked very closely with the team at The Real Greek group of restaurants to bring authentic dishes and the best ingredients sourced from Greece to their tables. The food is delicious and presented in a modern meze style on fantastic tiered stands. If you are lucky enough to live near London where there are 6 branches, or Windsor where one has recently opened, I can highly recommend it. The menu is fabulous and clearly shows the calorie content, so you can gauge the healthier dishes. Alan, their chef has kindly given me the nutritional information for some of the lighter recipes so that I could calculate the propoints for you. Stick to offerings such as Revithia, Tzatziki and Lamb Skewers at 4pp per portion, Chicken skewers at 3pp per portion or Gigandes Plaki or Prawns with Feta at 2pp per portion. There are also some lovely salads-just ask for feta on the side or a smaller portion. The beauty is that these are sharing dishes so you can try a few different flavours. It's incredibly easy to make and you can ring the changes by adding the flavourings and fruits that you like best. 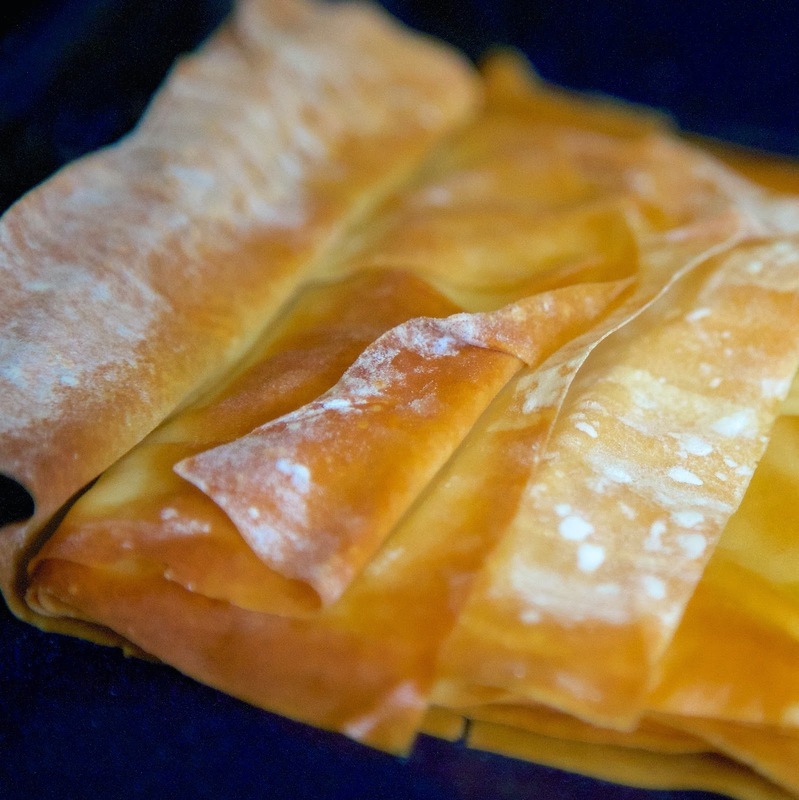 Spray the filo sheets with Frylight oil then bake for 10 minutes at 200C/400F/Gas6 until golden. Leave on one side to cool, then crush into crispy flakes. Flavour the yoghurt with a few drops of rosewater to your desired strength. You can sweeten the yoghurt with artificial sweetener if you like, or use some orange water or any flavouring you choose. Chop the pistachios and cut up the strawberries. 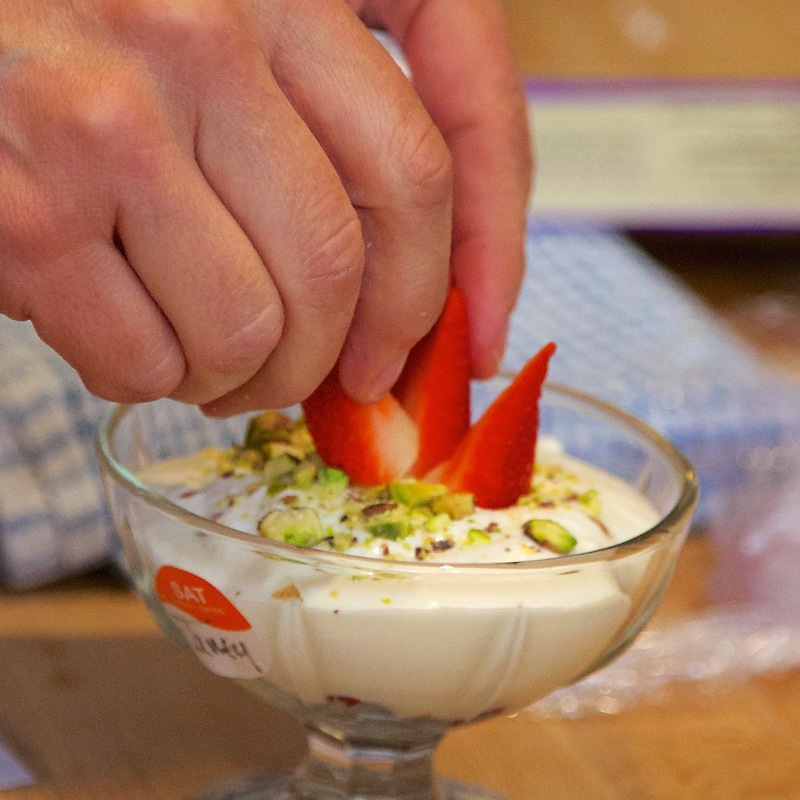 Take a tall glass and layer up the dessert as you wish-for example; some crushed filo followed by rose-scented yoghurt, raspberries and honey....more yoghurt, strawberries, then finish with crushed filo, pistachios and some remaining fruit with a drizzle of honey. If you don't have a tall glass, any will do! Just make it as beautiful as you can. If you like, you could put all the components on the table for people to make their own desserts-this is fun and vibrant- see who comes up with the best design.